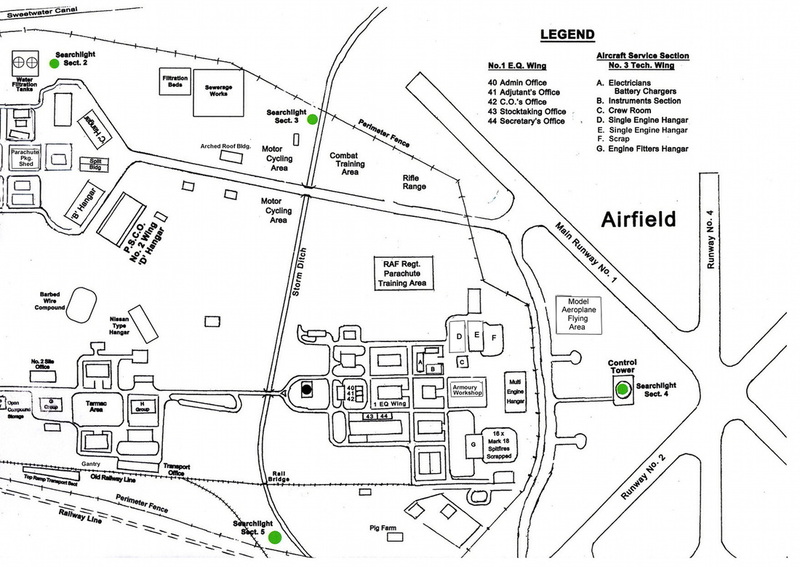 Jack produced his first full size plan of RAF Kasfareet in 2009 guided by the plan below prepared from an aerial photograph in 1947 and a sketch produced by Mike Favell. Together with his personal extensive collection of photographs and contacts plus my earlier website and ultimately the vast collection from Colin Harrington, Jack has produced several updated issues (lately processed for printing by Colin) and the current update is displayed below. Jack kindly sent me a blow up of his Kasfareet map and with the use of a £3 picture frame from a local recycling store (we used to call them junk shops) and the addition of a bit of decoration, I now have a lovely backdrop to my workstation and a quick reference to the plan when I am working on my Kasfareet Website. 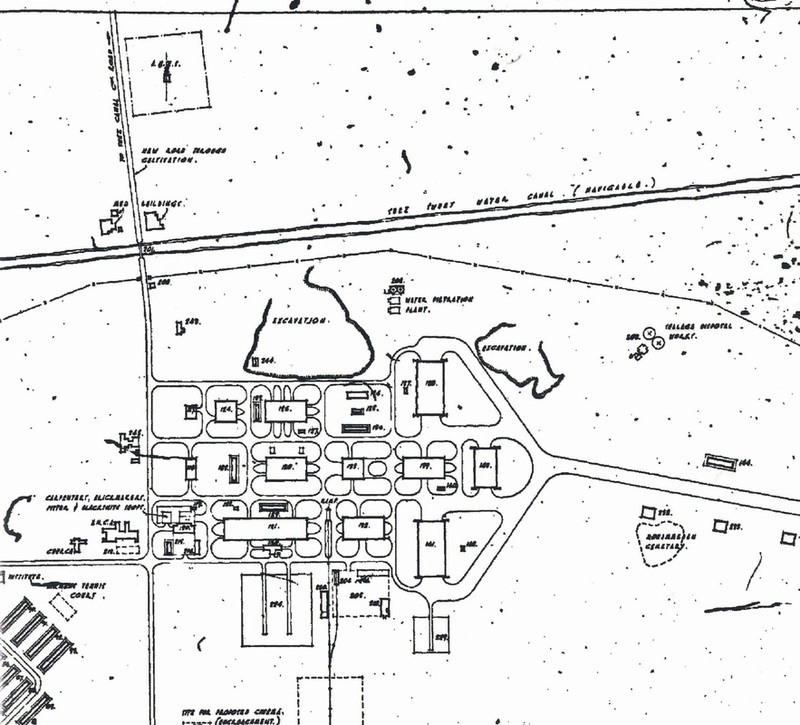 The above forms part of a 1946 plan of Kasfareet, although it is difficult to read the numbers on the various buildings. 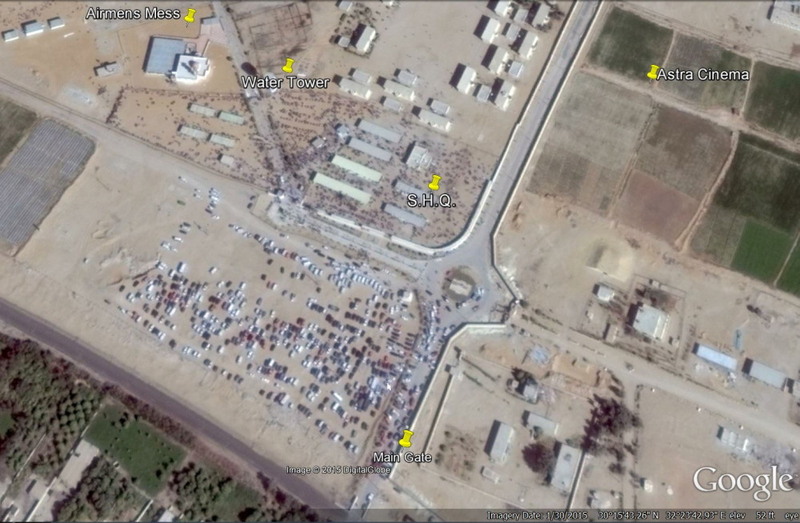 The Kasfareet Village bridge is located in the top left corner. To the right, on both sides of the Water Filtration Plant are two areas marked " Excavation ". Does any one know what these are ? Could they be where scrapped aircraft were buried at the close of WW2 ? 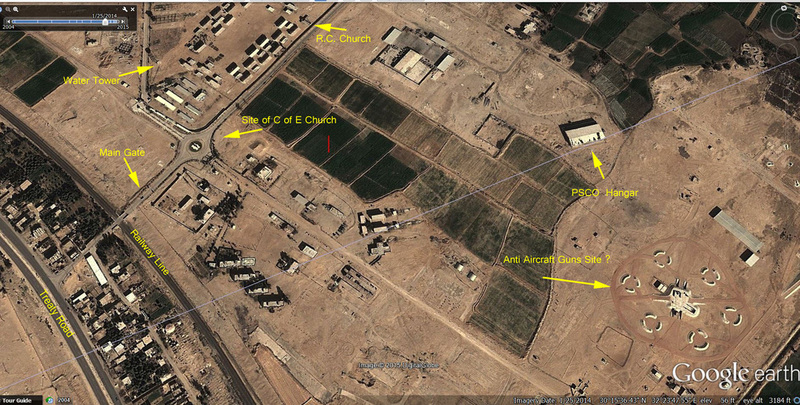 Further to the right, off the road leading down to the airfield ( Note that PSCO Hanger is not shown) there is an area marked Mohammedan Cemetary. Jack Garry has a little knowledge of this but any further information is most welcome.